We all have one on our list: that person who is just impossible to shop for. They have it all, they don’t seem to like or want anything- leaving you at a loss. 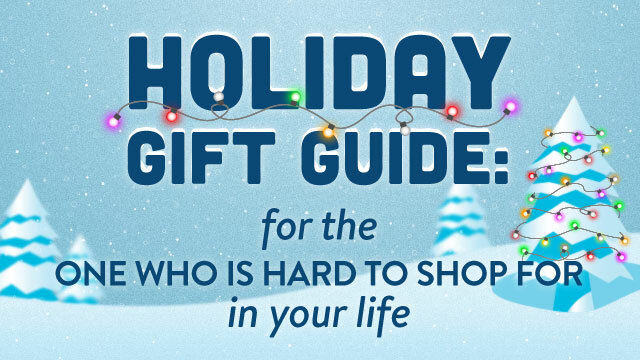 Holiday shopping for the one who is hard to shop for is just that: hard. But we can help you make it easy with a unique gift that even Scrooge himself will love. CandyShell Grip for iPhone 6, iPhone 5/5s, Samsung Galaxy S5 and more. The hardest ones to shop for are typically the ones who have it all, including the latest must-have devices. So get them the must-have cases to go along with them. Our CandyShell Grip cases have a no-slip grip that turn all thumbs into thumbs up and is perfect for texting, gaming, and more. CandyShell Amped for iPhone 5/5s and Galaxy S5. Any gift recipient would be “amped” to receive this case! It provides over 2x louder and clearer sound without draining a smartphone battery, making it the perfect choice for those who love to listen to music, watch videos, and much more. GemShell Color for iPhone 5c. Because the iPhone 5c comes in a variety of brilliant colors, it’s meant to be shown off and the GemShell case does just that. It’s a tinted, see-through protective case. SeeThru for MacBook. The SeeThru MacBook case is the ultimate way to have fun and show off personality. This hardshell, form-fitting case adds bright, exciting color and a layer of reliable protection to any MacBook. MightyShell Clear for iPhone 5s and iPhone 6. This case offers 2x military-grade protection and a super slim, clear design. It’s groundbreaking protection alongside a sleek and stylish look that even the pickiest recipient is sure to love.